Quilt KIT! 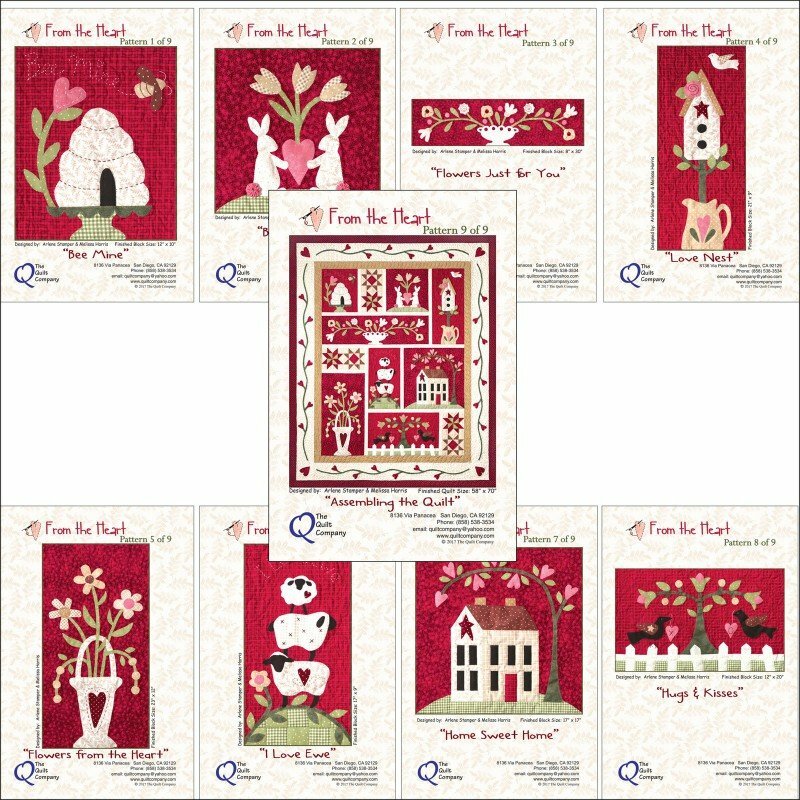 From the Heart 9 Block fusible pre-cut laser applique fabrics included! Bargains! > Quilt KIT! 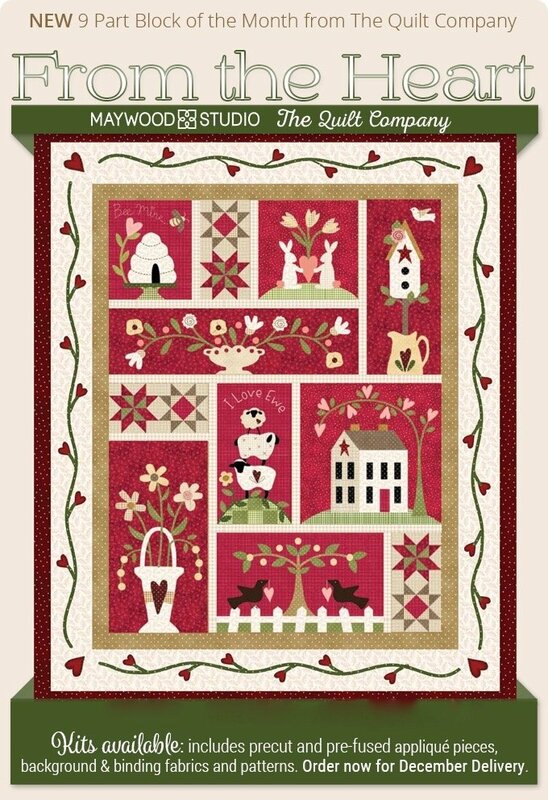 From the Heart 9 Block fusible pre-cut laser applique fabrics included! ONLY 1 KIT REMAINING! Click images above to view ALL FABRICS! Click for our suggested matching Thread Collection exclusive to Cindy’s Threadworks. Perfect for blanket stitch or straight stitch close to edges of appliqués. Fabrics are gorgeous (!) as shown in pattern. All laser cut appliqué pieces and already pre-fused onto fabrics! Notice also the border vines and heart appliqués are laser cut ready-to-apply! Each block has all laser pieces in each packet as shown in images.